The electoral victory of the mahagathbandhan in Bihar has come as a big boost for Lalu Prasad Yadav who was on the verge of political extinction. 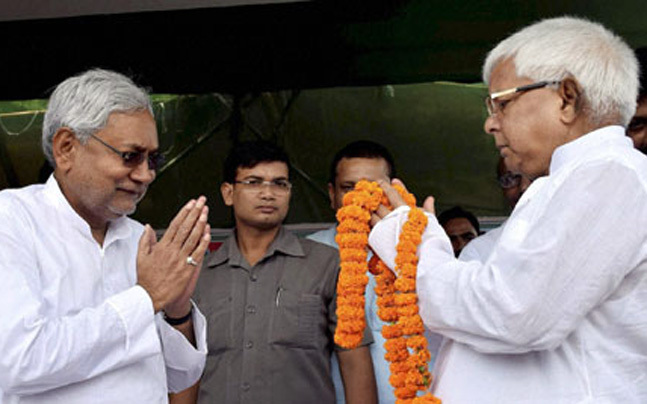 By emerging as the single largest party, Rashtriya Janata Dal (RJD) has successfully exhibited its popularity among Biharis. What is astonishing is that Lalu’s popularity has risen despite his conviction by a CBI court in the fodder scam. On the other hand, Nitish Kumar of Janata Dal United or JD (U) has won for himself a third term as Chief Minister of Bihar. Along with the likes of Arvind Kejriwal, Mulayam Singh Yadav, Mamata Banerjee, Jayalalitha and Naveen Patnaik, Nitish Kumar is sure to be touted as the one of ablest men to lead a third front assault on the two national parties, particularly the BJP, in the times to come. However, the most interesting take away from the landslide victory of RJD-JD(U)-Congress combine is the continuing trend of decisive mandates. Post 2012, states like Uttar Pradesh, Tamil Nadu, Kolkata, Madhya Pradesh, Odisha, Maharashtra, and now Bihar, have overwhelmingly voted in favour of a particular party or coalition. The general elections in 2014 too exhibited a similar pattern. The notable exceptions to this phenomenon were Delhi and Jammu & Kashmir. In 2013, Aam Aadmi Party (AAP) fought elections for the first time turning battlefield Delhi into a triangular contest between BJP, Congress and AAP. This led to AAP and BJP narrowly missing out on the magic number and what followed next was a short lived Congress supported AAP government. Thereafter, when elections were held again in early 2015, the verdict of Delhi-walas was entirely one sided and brought AAP absolute majority. As far as Jammu and Kashmir elections of 2014 are concerned, though the verdict was split, it was clear that the People’s Democratic Party (PDP) was the chosen one in the valley while the BJP comfortably led in the region of Jammu. That way the election result was again decisive in nature and led to the formation of a coalition government comprising of PDP and BJP. Despite the confusion in the minds of pollsters and psephologists, the voter is acting very cleverly. The exit polls might predict a khichdi verdict or neck to neck competition but the voters are throwing up a clear mandate. Secondly, the elections in Bihar once again signalled at the electoral rejection of emotive Hindutva issues. The voters in Uttar Pradesh rejected the false bogey of live jihad during the by-elections held in the state last year. 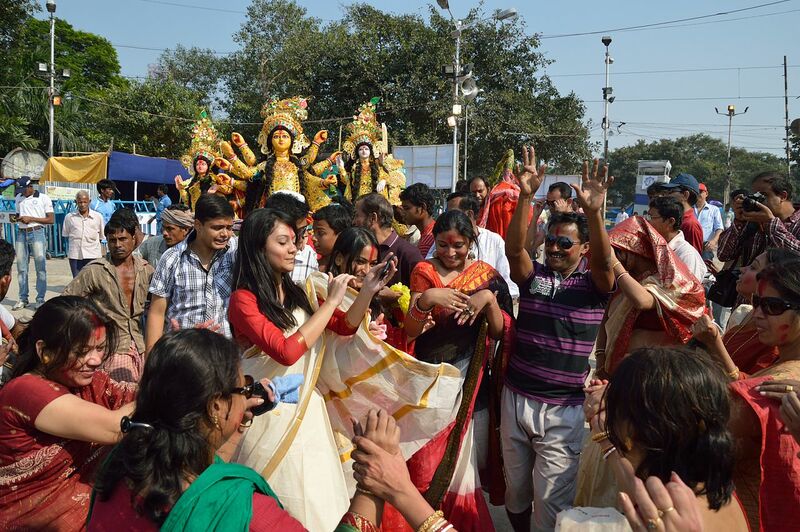 The national capital voted against ghar wapsi and attacks on churches in February this year. Finally Bihar has voted against beef politics and fear mongering in the name of carving a religion based minority sub quota out of the reservation pie of Other Backward Castes or OBCs. The writing on the wall is becoming increasingly clear for the BJP. It is time to perform or perish. The Prime Minister can manage any number of events, undertake as many foreign trips as he wishes to and campaign as vigorously as possible but if his government doesn’t deliver in terms of poverty alleviation, job creation and income equality, the electorate is going to show his party the door. The voter cannot be fooled simply on the basis of Hindutva and rhetoric. When BJP lost in Delhi, the blame was shifted towards Kiran Bedi as she happened to be the party’s chief ministerial candidate. The same cannot be done in the case of Bihar as the BJP fielded no chief ministerial candidate with Modi being the outright leader. Even in Delhi, it was Modi who led the campaign all through but his failure was conveniently set aside. Modi is based out of Delhi. He along with his entire cabinet campaigned in Delhi yet they lost. Prime Minister Modi left African leaders in Delhi to campaign in Bihar yet BJP lost. The lesson which is to be learnt is that Modi can be overcome electorally with the help of strong local leaders like Kejriwal, Nitish and Lalu. 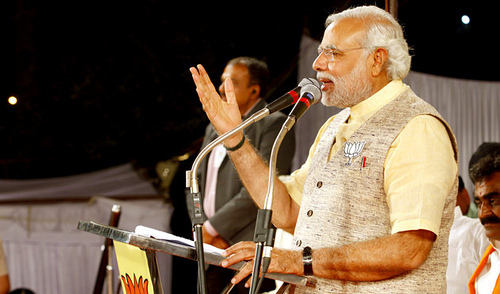 BJP must realize that it cannot always piggybank on Modi’s supposed PAN-India popularity. There is a dire need for cultivation of popular local leaders like Shivraj Singh Chauhan in Madhya Pradesh, Raman Singh in Chhattisgarh and Vasundhara Raje in Rajasthan. Another observation is that no matter what is proclaimed from 24 Akbar Road, Congress is on the decline. They drew a blank in Delhi but have performed reasonably well in Bihar. However, their vote share remains in single digit and the party is far from being the nationwide force it once used to be. If INC has chosen to eternally play second fiddle to the likes of JD(U), RJD and AAP then its altogether an entirely different story. Politics in the country is becoming all the more BJP-centric. The vote in Bihar was against the BJP government at the centre as also against Hindutva. Those who are rushing and labelling the verdict as a victory of development oriented politics need to do a rethink. Lalu’s campaign rhetoric was less about development and more about a “battle between forward and backward castes.” Nitish’s masterstroke was in aligning with his bête noire Lalu to oust the BJP instead of holding a referendum on his ten year rule by going solo. If Kejriwal won Delhi on the basis of populist politics, Lalu and Nitish have won Bihar by carving an alliance which none saw coming. It’s a triumph of complex caste arithmetic over Hindutva superimposition. The much talked about development politics had little relevance with both sides banking heavily on identity politics. The blunders committed in Bihar by the BJP should be carefully scrutinized but Lalu’s comeback in Bihar exemplifies that caste still lords over Bihar’s election castle. Modi sarkaar has indeed failed in fulfilling its tall promises but where was the vision of “maha gathbandhan” during Bihar elections? The people seem to have chosen the one whom they viewed as the “lesser evil”. While addressing an election rally in Bihar, Prime Minister Narendra Modi took a dig at the grand alliance of Congress, JD(U) and RJD by raking up the issue of religion-based reservations. Modi said, “The leaders of this ‘Mahaswarth’ alliance are trying to mislead the people on the issue of reservation. It is clear through the discussion of our Constitution makers that reservation cannot be given on the basis of religion.” He added that “these leaders are making a devious plan. They are conspiring to take away 5 per cent reservation of Dalits, Maha Dalits, backwards and extremely backwards and give it to a particular community”. Though Modi did not particularly name any community, it was apparent that he was referring to Muslims. What Modi was attempting to do was consolidation of Hindu votes by tacitly asking them to rise above caste and vote in unison to outdo “Muslims” who were portrayed as a group which was out to swallow the “Hindu” pie of reservation benefits. Such remarks are a reflection of the BJP’s nervousness in Bihar where they might suffer a setback due to the polarising remarks of their ministers and legislators both at the central and state level following the Dadri lynching episode which occurred last month. Interestingly, Prime Minister Modi added, “I come from an extremely backward class and understand the pain of having been born to a poor woman. I will not allow this to happen. I pledge to protect the rights of Dalits, Maha Dalits and backwards.” If Modi truly believes in what he says then he should immediately initiate steps to outlaw religion-based reservations which have been in existence in our country since 1950. Initially, the order only recognised Scheduled Castes from the Hindu religion. Thereafter, it was amended twice in 1956 and 1990 to include Sikhs and Buddhists, respectively. The question to be asked is: Can’t a Muslim, Christian, Jain or Parsi be a Scheduled Caste? Do Hindus, Sikhs and Buddhists have a monopoly over being Scheduled Castes? Will Modi do justice to Dalit Muslims and Dalit Christians by acting on the recommendations of Sachar Committee Report concerning Constitution (Scheduled Castes Order), 1950? He won’t because the talk of protecting the rights of Dalits and Mahadalits is hollow rhetoric and electorally motivated. Moreover, Modi’s party is ideologically opposed to granting of SC quota benefits to Dalit Muslims and Dalit Christians. There can’t be a more preposterous assertion. Sikhism and Buddhism are also casteless religions in the sense that they do not advocate the division of society on caste lines. Yet Dalit converts to Buddhism and Sikhism are provided with reservation under SC quota. Then why the same privilege can’t be extended to Dalits who converted to other religions including Islam and Christianity? Caste, unfortunately is no longer a problem of the Hindu society as LK Advani opines. It is a problem of the Indian society. Though caste doesn’t exist in Islam or Christianity per se but caste system exists among Muslims and Christians living in India. Therefore, it is wrong to state that Dalits can’t be Muslims or Christians. The communal Constitution order of 1950 won’t go away anytime soon because no one has the courage to do what justice demands. The Indian National Congress was the party responsible for enacting this provision. It was in power during the last ten years from 2004-2014. Despite repeated pleas from civil society it never bothered to amend the 1950 order. Instead it introduced a minority sub quota of 4.5 per cent in the lead up to the 2012 Uttar Pradesh Assembly Elections. It was touted as “Muslim quota” and floated by the then minority affairs minister Salman Khurshid. Though it was for all minorities yet the tag “Muslim” became synonymous with it simply because the Congress was desperate to encash on the votes of Muslims in the Uttar Pradesh elections. Competitive politics demanded that Mulayam Singh Yadav’s Samajwadi Party dismissed 4.5 per cent quota for minorities as too less and promised even more. In its blind pursuit of the Muslim vote, the Congress forgot to follow the correct procedure leading the Andhra Pradesh High Court to strike down the 4.5 per cent sub quota for religious minorities in May 2012. Have you ever wondered why do politicians reignite the debate on reservations only before elections? Congress and SP remembered Muslims before Uttar Pradesh elections, Modi remembered Dalits before Bihar elections and the inimitable Lalu Prasad recently described the upcoming elections as a “fight between backward and forward castes”. Reservations have become a political tool in the hands of our corrupt leaders. In the midst of political mudslinging, the core issue concerning an objective analysis of the prevailing reservation policy is being overlooked. Should 21st century India adopt a reservation policy? If yes, then what should be the criteria for granting reservation in educational institutes and jobs? How should it be implemented? These are the questions which our leaders should have addressed clearly but they never did so. Millions of Indians still find themselves trapped in the vicious cycle of poverty. Several others are educationally backward and belong to communities that are actively discriminated against and grossly under-represented in government sector jobs. Therefore, it is incumbent upon the State to help such individuals by means of affirmative action. One cannot shrug off the need for reservation by citing simplistic arguments of merit. The bigger picture needs to be taken into consideration. Hence, it is essential to have reservations in place for disadvantaged sections of society. The second point is in relation to the basis on which reservation is to be granted. This is a subject on which the Central and state governments must necessarily revisit their policies. BJP’s Subramanian Swamy maintains that reservations should apply to those who have historically been discriminated against (Dalits, Mahadalits and the likes) and not the erstwhile ruling class like Brahmins, Muslims and Christians. This is a flawed proposition. I’ve studied along with reserved category students who belonged to a historically disadvantaged group but made use of Apple iPhones. Such individuals are not disadvantaged and shouldn’t be reaping the benefits of reservation. We have a lot of people from the so-called forward castes who are struggling financially and need state support. The only way out is to make the economic status of an individual the foremost criterion while granting reservation. Secondly, a sub quota needs to be drawn out of the entire reservation pool to exclusively cater to those people who are economically backward and also belong to communities that are educationally backward, under-represented in government jobs and services and victims of social discrimination. We need to adopt an evidence-based approach instead of an electoral or agitation-based approach while identifying such communities. Backwardness would have to be proven on the basis of data and not perception. No community should be declared as being backward by the government because the party in power intends to reap their votes in the coming elections. Neither should governments give in to pressure from groups who organise bandhs and paralyse state machinery including railways to acquire reservation status. This sounds good on paper but the governments are obviously incapable of doing so because of their overt political agenda. We can only hope that good sense prevails and political parties start thinking along these lines else law courts might have to step in. Lastly, we need to be absolutely mindful of certain rules while implementing the reservation policy. Reservations have to be time bound. They need to be reviewed and reformed from time and time. As per Supreme Court, reservation cannot extend to more than 50 per cent of the total seats. All institutions should abide by the said rules. While implementing reservation policy, additional seats or vacancies need to be created. For instance, if there are 20 seats in an educational institution for a particular course or 20 vacancies in a government office, reservation of 50 per cent should mean 20 general seats + 50 per cent reserved seats, instead of 20 – 50 per cent reserved seats. Most importantly, it has to be ensured that reservations don’t compromise on quality and are provided only to those who truly deserve it. The maximum relaxation lent to applicants from reserved category shouldn’t go below 10 per cent of the general category cut-off in any case. If it happens then even people from the unreserved category will learn to appreciate the utility of reservations. This is because they will be sharing their classrooms and offices with people from the reserved category who are deserving and have achieved a certain level in the merit list despite the economic and social handicap that they have suffered from. This will eventually lead to the fading away of resentment regarding reservation among the unreserved people which currently exists in gigantic proportions. We live in an age of riot engineering. Unrest is manufactured by certain mischievous elements in our country on the suspicion of beef consumption and desecration of holy scripture. What has unfolded in Dadri and Faridkot is a case in point. In both the cases, “religious sentiments” were exploited to create trouble. The former saw a Muslim man losing his life after an announcement was made from a local temple accusing Mohammad Akhlaq of consuming and storing beef. Similarly, desecration of the Sikh holy scripture of Guru Granth Sahib at a number of places including Faridkot and Bathinda has led to a string of protests and threatens to derail the prevailing calm atmosphere in the Sikh majority state of Punjab. It goes without saying that the perpetrators of these vicious acts should be brought to book. No individual or group can ever be allowed to endanger peace and stability. However, at the same time, we need to address the core issue of “religious sensitivity”. It is becoming increasingly easy for extremist outfits to ferment communal trouble. The modus operandi is multi-fold. Desecrate holy books, plant carcass of a cow or pig inside a temple or mosque, accuse a neighbouring place of worship of encroaching upon your territory or play loud music while some ritual is being performed somewhere. Unfortunately, any one of these acts is capable of bringing out the monster residing inside men with extreme religious sensitivities. One can surely expect them to lynch and pelt stones at the slightest of provocation. How does the society overcome this problem? This issue can only be addressed if religious communities open themselves up to constructive criticism. All religious communities and their so-called representatives can be accused of over sensitivity. Several Indian movies including PK, Vishwaroopam, OMG – Oh My God! and Singh is Kinng have faced opposition from religious groups simply because of the “touchy” nature of various religious communities. Freedom of speech and freedom of religion are constitutionally guaranteed liberties. But none of these liberties are absolute in nature. Neither can an artistic piece of work cross the limits of reasonableness nor can an unconstitutional activity be justified in the name of religion. Having said that religious communities should indeed develop a culture of constructive criticism wherein a person is given the liberty to speak out against a practise or tradition which he/she deems as unreasonable during community meetings or religious gatherings. There should be intense debate on scripture, dietary habits, age-old traditions, rights of women etc. Every criticism which will pour in will certainly not be constructive in nature but it will surely broaden the intellectual horizon of the community involved. They will learn to view the other side of the coin. This way a vegetarian Hindu might become aware of the views of a beef-eating Hindu. A scriptural fundamentalist will see the world through the eyes of the one who has rejected the infallible nature of religious scriptures. The religious maturity which will be cultivated among the people through such discussions will enable them to react sensibly. They will not react violently to incidents of beef, pork or alcohol consumption. They will refrain from stalling film screenings and clashing with the police following an alleged act of sacrilege and blasphemy. That’s the kind of society which we should work towards creating. A society which ignores acts of provocation and resorts to constitutional means of protests like petitioning in courts instead of extra-judicial killings, violent agitations, vandalism of public property and forced censorship, all of which are reflective of mob justice. It would be appropriate if this piece of writing calling for constructive criticism of religious practises is concluded with a piece of advice on some important religious matters. The past few days have been a witness to the Hindu fasting period of Navratra and Muslim mourning period of Moharram. Durga Puja celebrations will soon end with devotees of Ma Durga immersing her idols in water bodies across India. Considering the level of water pollution, it would be wise on the part of worshippers if they refrained from immersing idols in water bodies with high levels of pollution. From the coming years Durga Puja committees should strictly make use of only environment-friendly idols so that their immersion does not cause much damage to the environment. Meanwhile, Muslims should also do away with the act of self-flagellation during Moharram. It doesn’t make sense to inflict wounds upon oneself with sharp and pointed objects. Instead, Muslims should donate blood in large numbers to mark the day of Ashura. Extravagance during religious festivals should also be avoided. Burning crackers worth crores of rupees during Diwali and causing enormous air pollution is not in the interest of the common man. Nor is it wise to sacrifice goats worth several lakhs during Eid-Al-Adha. India is predominantly a poor country wherein such acts of religious extravagance should be voluntarily shunned. “The American people are sick and tired of hearing about your damn emails… enough of the emails. 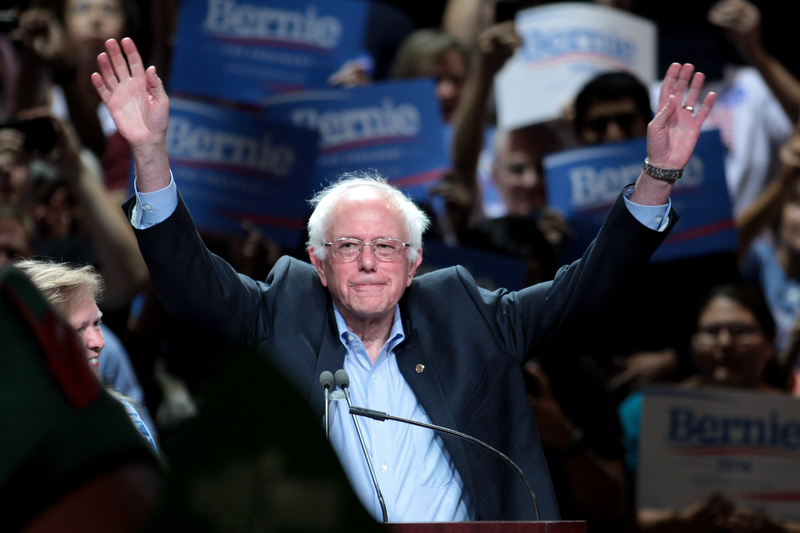 Let’s talk about the real issues facing America,” said Senator Bernie Sanders as Hillary Rodham Clinton responded with the words, “Thank you, Bernie” during CNN’s first democratic presidential debate. The moment was one of rare political maturity. Former US secretary of state Hillary Clinton’s usage of private email while in office is quite a controversial issue. But senator Bernie Sanders, who is competing for democratic presidential nomination against Hillary Clinton, made it clear that the real issues were concerning income inequality and employment as opposed to emails. Though Republicans would be far from satisfied on seeing Sanders’ exoneration of Hillary, the fact of the matter is that at least one American politician had the courage to talk about the bigger picture instead of falling prey to an easy political whip against a fellow competitor. Back home in India, Prime Minister Narendra Modi missed out on an opportunity to exhibit similar political sanity. We need to credit Modi for having directly addressed the Dadri lynching episode during a newspaper interview and terming the tragedy as “unfortunate and unwarranted”. It was encouraging to learn that PM Modi did not approve of the opposition to Pakistani ghazal singer Ghulam Ali’s concert in Mumbai. Unfortunately, that’s where the Prime Minister stopped! Instead of going forward and sacking retrograde Hindutva hatemongers like Union culture minister Mahesh Sharma and BJP MLA Sangeet Som, both of whom passed insensitive remarks following Dadri lynching, the Prime Minister attempted self exoneration by stating that the buck did not stop at the central government. He further went on to score political brownie points by accusing rival parties of “pseudo-secularism” and practising “politics of polarisation”. Ladies and gentlemen, it’s a shame that such a timid response is coming from the prime minister of India. Firstly, his response to Dadri is much delayed and incidentally two days after the first phase of elections in Bihar. The timing in itself is worth suspecting. Was the statement a damage control exercise? Or did the BJP think that it had milked the post-Dadri polarisation just as much as it had wanted to and decided to drag the issue out of headlines to prevent any further disrepute to the central government? Secondly, while law and order in the state of Uttar Pradesh certainly doesn’t come within the purview of the central government, Modi does happen to be the boss of both Mahesh Sharma and Sangeet Som. What’s stopping Modi from the sacking the two? While Sharma tried to downplay the lynching episode by stating that since Danish had not incurred any fracture, it proves that the mob did not intend to lynch him, Som held a meeting in Bishahra in defiance of prohibitory orders and spoke of “Hindu retaliation”. The phraseology which both the men had employed clearly hinted at their overt sympathy towards the mob responsible for killing Akhlaq and injuring Danish. If Modi felt strongly about Dadri then he should have made sure that these men ceased to be a part of the government and party, respectively. Thirdly, BJP is the single largest party in Maharashtra. The Sena-BJP government is led by BJP’s Devendra Fadnavis and yet the past few days were a witness to unfortunate incidents involving Sudheendra Kulkarni and Ghulam Ali. What’s preventing Modi from communicating his reservations to Uddhav Thackeray? If the Shiv Sena is not in a mood to listen then Modi should call off the alliance. But he won’t since he has chosen the simple way out. Blame the opposition parties and raise hollow rhetoric. In such testing times of rising intolerance, the leader of a country is expected to reassure citizens of the rule of law. But Modi chose to paint a helpless picture of his and left the blame at the door of the state governments. Ironically, he overlooked the fact that one of them was led by his own party. Bipartisanship should be an essential element of politics. When an incident like Dadri happens, political leaders should come together and uphold the composite culture of our nation. It goes without saying that Modi is an excellent communicator. He should have chosen his words carefully and refrained from politicising Dadri and other incidents. If he had done so, he may have become another Bernie Sanders. However, he didn’t and instead resorted to centre-state jurisdiction and partisan politics! But then we must not forget that rising above politics is not in the DNA of our political parties. After all, the Congress also sacked Shashi Tharoor as its spokesperson for lending support to the Swachh Bharat Abhiyaan. Post the Dadri lynching episode, which saw the brutal killing of Muhammad Akhlaq on the suspicion of beef consumption, the entire media discourse was concentrated on the appalling silence of Prime Minister Narendra Modi. Being the elected leader of the world’s largest democracy, Modi should have led from the front in condemning the barbaric incident that led to an international uproar. It was incumbent upon the prime minister to visit Dadri and meet the family members of the deceased. It would have been a highly reassuring sight had Modi personally saluted Sartaj’s message of “Saare jahan se acha Hindustan humara” in his moment of agony. Instead Modi chose battlefield Bihar to make a statement which made media headlines. The Prime Minister said that Hindus and Muslims can either fight each other or they can fight poverty together. It’s not the first time that Modi has uttered these words. He has made this statement during innumerable public speeches. It’s nothing but mere rhetoric! Does the statement in anyway condemn the murder of Mohammad Akhlaq? Does it suggest that people should have the freedom to consume beef, pork or whatever they wish to eat or does it even call for the swift prosecution of Akhlaq’s killers? Those who suggested that Modi had indeed condemned Dadri are wrong. He never did! That’s the typical Modi style of dealing with fanaticism and fringe elements. As the chief minister of Gujarat, Modi made it a point to not talk about the 2002 Gujarat riots. If someone from the media asked him to apologise, he would plainly say that hang me if I am guilty or would simply stage a walk out. What would have happened had he humbly admitted that his administration failed to control the mayhem in 2002? He never retracted ridiculous statements like “Hum paanch, humare pachees” in which he mocked the victims of the riots by terming refugee camps as “baby producing factories”. Instead, he spoke of Gujarat’s pride during the Gujarat Gaurav Yatra wherein he constantly he talked about a canard being spread to defame Gujarat and its people. When it comes to reining in right-wing Hindutva extremism, Modi’s strategy is clear. Give a superficial statement to appease what he terms as Lutyen’s Delhi’s “pseudo-secular media” but never touch upon the specifics. He has very carefully built upon a strategy of “semi-condemnation” during his stay at 7 Race Course Road. Prior to the Delhi Assembly Elections in February 2015, a number of churches in the national capital reported incidents of arson and vandalism. In December 2014, the biggest talking point was the “ghar wapsi” or reconversion of 250 Muslims to Hinduism in Agra by a group affiliated to the Rashtriya Swayamsevak Sangh (RSS). News reports had suggested that the reconversion had taken place on the premise of providing Muslims with ration cards and other basic amenities following their conversion to Hinduism. If one looks at the two statements carefully, he would be able to realise that Modi successfully played a con on the entire nation. In no manner did he condemn the burning down of St Sebastian Church or other churches which were attacked, nor did he say a word against the Agra conversions in particular. The point to be noted is that in both the cases the community at the receiving end belonged to a minority group, yet Modi said that “neither majority or minority” would be allowed to “incite hatred”. This is not to suggest that communal violence is only when the minority is attacked by the majority. In many cases, it’s the other way round. We should always condemn the wrongdoers irrespective of whether they form part of the majority or minority. But when the minorities are under attack, the prime minister should gather the guts to reassure them of their safety by addressing the crux of the issue and distancing himself from brute majoritarianism. Modi’s statements hint at a clever strategy. 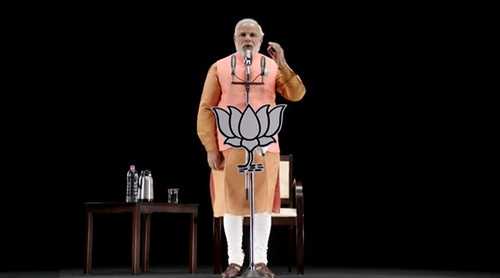 Whether its ghar wapsi, church attacks or Dadri, Modi speaks only when the storm has subsided. He has not made any attempt to come out strongly and be among the first ones to condemn or castigate communalism. Secondly, even when he does speak, he gives a generic statement and refrains from responding to the incident at hand be it Dadri, ghar wapsi or church attacks. This is where the danger lies. The ambiguity which Modi’s statements leave behind gives many extremists the courage to carry out more Dadri-like incidents because they think that Modi is on their side. Ironically, YouTube clips of Modi’s speeches clearly show him calling for protection of cows and the valour which Maharana Pratap exhibited by protecting temples. If Modi can talk about these things then he can surely say that extra-judicial killing on the suspicion of beef consumption is wrong and so are attacks on churches. Why is the prime minister keeping silent? He has to avoid generalities and get to the specifics. “You say it best when you say nothing at all” is a beautiful line from a song by Irish musician Ronan Keating, but it doesn’t work that way in politics, lest one risks becoming another Manmohan Singh.